Extensions and other hairpieces allow people to supplement their natural hair to make it fuller, more colourful, or differently styled. 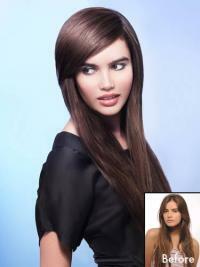 A clip-in fringe, for example, provides bangs across the forehead in a straight or jagged edge. If you have longer hair but want to change your look with a fringe, you can now do this quickly and easily with a clip in fringe or clip in bangs. This real human hair clip in fringe set comes with the clips are already attached and ready for instant use in just 2 minutes. 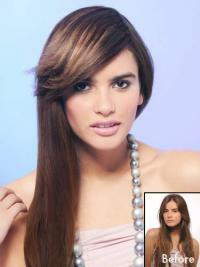 urhair.co.uk offers many types of clip in fringe. Purchase several fringes to own hairpieces that perfectly match every shade or look you desire.